A Rutgers University history professor will have to pick up half the cost of his daughter’s education at Cornell Law School, which will cost him about $112,500, according to a New Jersey appeals court. James Livingston is required to pick up the tab because of terms in his divorce settlement agreement, according to a decision (PDF) last month by the New Jersey Superior Court, Appellate Division. The New Jersey Star-Ledger and the National Law Journal (sub. req.) have stories. The divorce agreement said Livingston would pay half the expenses for his daughter’s post-college higher education, according to the opinion. The agreement also said the daughter would provide Livingston with a copy of her class schedule, grades and financial aid information within five days of receiving them. Both Livingston and his ex-wife were not obligated to make any financial contribution, however, if the daughter did not maintain a C grade point average. Livingston initially offered to pay $7,500 a year for his daughter’s legal education, provided that she attend Rutgers Law School, live at home with her mother, and provide him with progress reports, according to the opinion. He claimed his daughter should have informed him of financial aid offers from other law schools, and he should have been allowed to jointly decide with his daughter which law school she would attend. He also argued that his continued estrangement from his daughter was a changed circumstance that relieved him of his obligation. The appeals panel rejected those arguments. A frequently used provision in divorce settlements gives fathers the right to participate in school selection, but Livingston’s agreement didn’t have such a clause, the court said. The court also pointed out that Livingston was already estranged from his daughter when he entered into the divorce agreement. How to Find Your Spouse’s Hidden Assets. What ever happened to that collection of priceless sports memorabilia? What did she do with all the expensive jewelry you gave her over the years? Are you shocked that your soon-to-be-Ex’s Sworn Financial Disclosure Statement didn’t mention that 2nd IRA you know he has? Divorcing spouses in all states can use powerful legal tools, called “discovery,” to help them find hidden income and other assets when they are in the midst of a divorce or child support action. Any court action that will ultimately involve a court order for distribution or payment of money will require financial disclosure statements. The first step in dividing assets during a divorce is to create a complete financial picture of all of the assets owned by each spouse. Generally, these assets will be categorized as “marital” (property acquired during the marriage), “separate” (property acquired before the marriage, after separation, or by gift or inheritance), or “comingled” (where you’ve mixed marital and separate property together, for example, in a bank account or retirement fund). These are general definitions; the laws of your particular state will dictate exactly how property is characterized. Even though you may not have ownership rights in your spouse’s separate property, it’s important to account for all of it because (depending on your state’s laws) a court may consider the value of both spouses’ separate property when deciding how to divide marital property and debts. If your spouse handled the bookkeeping during your marriage, and you played little to no part in tracking finances, you are what some attorneys refer to as the “out-spouse.” This simply means that you don’t have immediate access to or knowledge of financial information, but your spouse does. If you’re the “out-spouse,” your first course of action should be to simply ask your spouse for copies of all financial records. If your spouse can and will produce all records, the information gathering process might not be too painful. Alas, this is rarely the case. Sometimes, your spouse simply can’t find the records. If so, the two of you can work together to gather information. With online access to just about everything nowadays, it’s easy to get account records. You can also send joint requests for records to mortgage companies, banks, retirement plan administrators, and other third parties. Unfortunately, many spouses refuse to produce information because they’re hiding assets. Finding hidden assets in divorce can be challenging, especially for non-attorneys. This article explains what a basic search should entail, but we’re not suggesting that you should conduct every search yourself. If you believe your spouse is hiding assets, you may want to contact an attorney with experience in asset search and investigation. Even if you don’t suspect your spouse is hiding assets, it’s wise to consult with an attorney to ensure you’re asking the right questions and if appropriate, using the discovery methods listed below. Document demands. Your attorney can ask your spouse to produce specific documents, such as tax returns, financial statements, loan applications, and account records. Written questions called “interrogatories” or “requests for admission.” Using these discovery tools, your spouse must answer questions in writing, or admit specific statements that you believe are true. Inspection demands. You can ask to inspect property like a safe deposit box or wine collection. Testimony given under oath. In what’s called an oral deposition, you, your spouse, and your lawyers appear before a court reporter; your spouse is sworn to tell the truth and must answer questions asked by your attorney. The discovery process is a good way to get financial information from an uncooperative spouse because the court has the power to compel compliance. For example, if your spouse fails to produce documents, you can ask a judge to order your spouse to do so. If your spouse disobeys the order, a court may punish your spouse by imposing a “sanction,” which can include monetary fines or even a judgment against your spouse on a particular issue. A deposition is a particularly good way to get information from a dishonest spouse. Anyone who lies under oath during a deposition can be charged with perjury. This may be just the right kind of pressure your spouse needs to tell the truth about hidden assets. 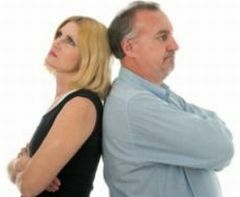 Typically, you should wait to depose your spouse until you’ve obtained some financial records. This way you can ask your spouse questions about records and information you’ve already examined. You should ask for documents and information relating to assets, income, debts and liabilities. Don’t forget that assets come in different forms. Tangible assets include cash and other hard assets that can be sold or liquidated like the family residence, cars, jewelry, fine art, a wine collection, and other personal property. Intangible assets include assets such as savings accounts, checking accounts, brokerage accounts, retirement accounts, stocks and stock options, investment income, royalties, copyrights, and patents. So be sure to request a wide variety of records including receipts, loan documents, deeds, title records, account statements, stock certificates, subscription agreements, royalty agreements, tax documents, and W-2 forms. If you’re the “out-spouse,” you probably weren’t preparing or reviewing tax returns during the marriage. It’s essential you examine these during a divorce. Some important areas of a return are covered below. But don’t stop here—tax laws and accounting issues are complex. It’s important to consult a tax advisor if there are complicated tax issues in your divorce. Form 1040: Income from wages. As discussed in more detail below, this is where you’ll find income from all reported sources, including wages, salaries, tips, interest income, dividends, business income, capital gains, IRA distributions, pensions and annuities, unemployment compensation, and social security. Form 1040: Interest and dividend income. Income-earning investments like bonds, bank CDs, savings accounts, money market accounts or loans made as a lender will show up here. It’ll also show dividend income like income paid to stock shareholders. If either the interest or dividend income exceeds $400, a Schedule B should be attached that will identify the source of the income. Form 1040: Retirement plan distributions. Distributions (money received) from a deferred-compensation plan or IRA account are listed on the 1040. If there were distributions, ask where the funds went. Carryforwards. A “carryforward” is an IRS or state income tax rule that allows taxpayers to save an unused deduction, credit, or loss and use it in a later tax year. For example, you may “carryforward” charitable donations that exceed 50% of your income and apply these in another tax year. Similarly, if you exceed the yearly limit for contributions to your child’s 529 college savings plan by say $2000, you may be able to carryforward the $2000 and use it as a deduction in a later year. These types of credits should be accounted for in the property division. Refunds. Review old returns to find previous tax refunds. Sometimes a spouse who anticipates a divorce will intentionally overpay taxes for a previous year, expecting to get the entire reimbursement after the divorce is final. Schedule A: Itemized deductions. This is where itemized deductions are entered including any state and local taxes paid on income, real estate and personal property. These payments may be related to hidden assets located (or income generated) in another state. For example, if your spouse paid property taxes for a property you weren’t aware of, you’ll need to learn the name on title, the purchase date, and the source of any payments on the property. Schedule A: Miscellaneous deductions. Deductions here may include expenses for tax and, possibly, estate planning advice. If you didn’t know your spouse consulted a tax professional or estate planner, you may want to follow up directly with these individuals. Your search could uncover additional assets, such as a hidden trust. Schedule B – Part III: Foreign accounts. In addition to the sources of dividend and interest income, Part III of Schedule B may contain a list of your spouse’s foreign accounts and trusts. Schedule C: Profit or loss from business. Schedule C is used to report profit or loss from a business operated or a profession practiced as a sole proprietorship (a businesses owned by a single owner). Be sure to review the reported sales, expenses of the business, costs of goods sold and net income to get an idea of how your spouse’s business is doing. Before approving a loan, a lending institution will ask for a completed application, copies of recent pay stubs, account records, and a signed declaration regarding all assets and debts. If your spouse applied for a loan, get a copy of the application as it might reveal hidden income or assets. In addition, your spouse may have submitted a personal financial statement to a lender. A personal financial statement should include all assets, debts, income, and expenses. It’s basically a report from your spouse to the bank regarding all of his or her own finances and the marital estate. You should definitely ask your spouse (or the lender) for copies of all personal financial statements your spouse prepared. Tracing (analyzing) accounts and cash flow during the marriage (tracing all money in and money out) may lead to the discovery of hidden assets. In order to perform a complete tracing, your attorney or accountant will need records for all accounts under one or both spouses’ names (whether held alone, jointly, or with a third person). This includes savings, checking, brokerage, trust accounts, and any other accounts used by either spouse during the marriage. Get copies of cancelled checks and ask for copies of wire transfer documents, including authorization forms and wire instructions, to see if your spouse authorized any major transactions you weren’t aware of. Find out where the funds went. Did your spouse set up another personal account that holds a stash of cash? Did your spouse “gift” money to a relative or friend that your spouse will undoubtedly get back once the divorce is over? Did your spouse move money into a joint account with a third party? Tracing is a great way to uncover hidden assets. You or your attorney can send a subpoena (a written request issued by the clerk of the court) to any bank where you suspect your spouse has an account. When subpoenaed properly, a bank is obligated to produce all records associated with your spouse’s name. If the bank fails to do so, it can be held in contempt of court. Review account records carefully. Search for transactions into and out of known accounts. Look for unfamiliar account numbers. For example, if you find a large transfer into or out of your spouse’s account, check to see where the money came from or went. Banks typically list the name of the sending and receiving institutions and the last four digits of all accounts. If you find an unfamiliar account, you may have discovered a hidden asset. Follow up with a subpoena for records to that bank as well. My Ex told me to stop paying her the child support. Is this legal? 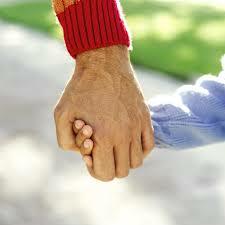 Only a court of competent jurisdiction can vacate the child support order. If you fail to pay under the existing order you could be setting yourself up for a Contempt charge. If your ex no longer wishes to receive payments from you for the children, she will have to go to the Probate & Family court that issued the order and seek a new order terminating the child support obligations. She will have to give GOOD CAUSE why the court should absolve you totally of your support obligations. Unless she just won the PowerBall lottery and/or is independently wealthy, she will be hard pressed to explain why you should be exempted from the absolute duty to support your children. Another reason why the court might terminate your obligation is in the case of domestic violence. In the past, where a woman or the children were in danger of retribution from paying spouse, she could claim good cause due to danger of physical harm if the paying spouse knew their whereabouts. Today, this is less likely because the court can arrange to have the payment made to the Department of Revenue for benefit of the children and the spouse need never have any contact with the wife or children. This will depend on state laws. Until such time that a court has terminated your child support obligation, I strongly advise you to continue making your payments. If she refuses to accept payments or fails to negotiate your checks, place the money in a trust or escrow account for the benefit of the children. If the contempt charges should later surface, you will have a very good defense and you will have the money to make the arrears payments. The bottom line is: DO NOT STOP YOUR PAYMENTS UNTIL A COURT ORDER TERMINATES OR MODIFIES YOUR OBLIGATION. If you wife should actually take this matter before a judge, then you should retain counsel to assist you navigate this tricky situation. How is an inheritance treated in a divorce? Generally, inheritances are not subject to equitable distribution because, by law, inheritances are not considered marital property. Instead, inheritances are treated as separate property belonging to the person who received the inheritance, and therefore may not be divided between the parties in a divorce. However, state laws determine how an inheritance is treated in a divorce based upon how it was treated by the heir upon receipt of the asset(s). If it’s “shared”, the rules vary greatly among the states. For instance, if the inheritance is deposited into a joint bank account and used for joint marital expenses (called “comingling of the inheritance”), the inheritance loses its immunity. Likewise, if the inheritance is used to make improvements to the primary residence, it may also lose its immunity. Therefore, comingling is key — if this “separate property” is used in a way that benefits joint marital assets, the inheritance is no longer considered separate property, and may be subject to equal division upon divorce. If this inheritance has never been commingled with marital assets, a divorcing spouse will have no right for inclusion in the distribution. If the inheritance was acquired before the marriage, it is advisable to have a pre-nuptial agreement that specifies the property is not a joint or marital asset. However, the same rules of comingling will still apply if the assets are joined with other marital funds or used as marital property. This issue is fact-specific and subject to state law, so it is advisable to contact a local divorce attorney to review your facts and circumstances to best advise you of your legal options.